These remarkable Parrots are noisy and intelligent. They are considered as a danger for cereal and fruits in many parts of Australia. In fact, oftentimes people get annoyed and they try to poison or shoot these loud creatures, however as many such species are protected under the Australian Commonwealth Law, person has to take permission to do so. They are white body with black colored beaks and the most attractive bit is the yellow feathers on their head. Sulphur-Crested Cockatoo can be really entertaining as these birds can speak, if given a bit of training for it. Habitat: They are comfortable in woodlands, Forest and occasionally urban areas. They adapt with tropical as well sub- tropical forests. Distribution: Spread from east to western region of Australia and in many parts of New Guinea. 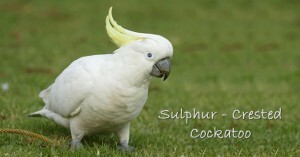 Diet: Sulphur-Crested Cockatoo are known for detoxifying their food by the Geophagy process i.e. to eat clay and other earthy soil substances to clean food. They eat seeds, insects, grains including vegetables and fresh fruits. Khao Kheow Open Zoo has one of the most magnificent species of Sulphur-Crested Cockatoo in Bangkok. 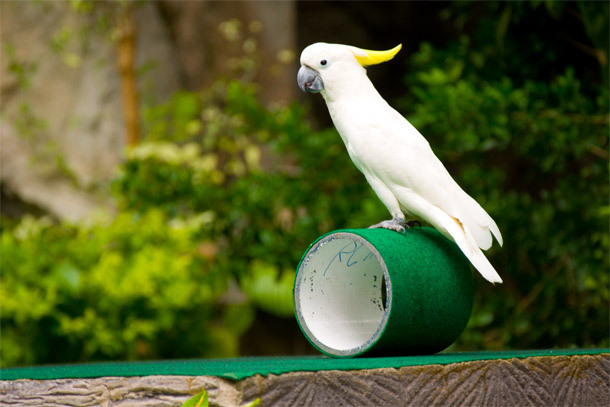 Visitors get an opportunity to see this wonderful bird engaging in several mind blowing activities. 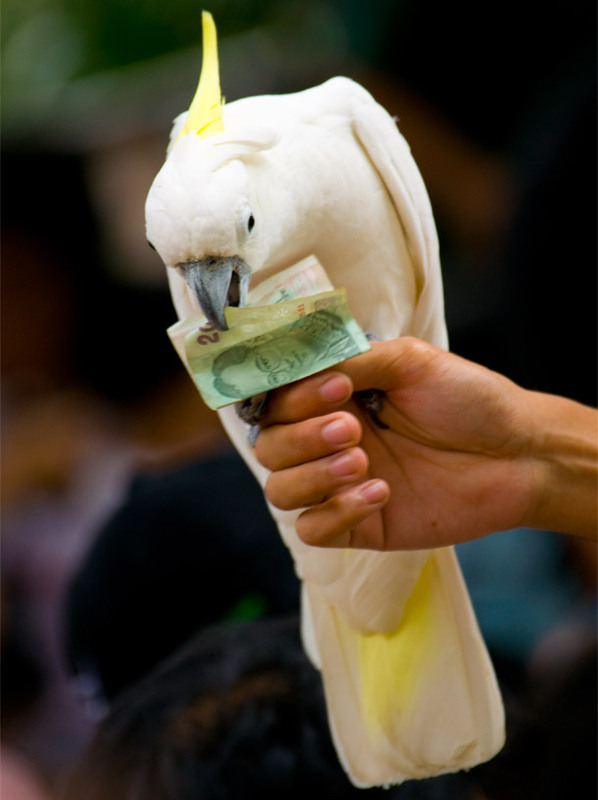 Khao Kheow Zoo has variety of Sulphur-Crested Cockatoo, which are exhibited in Journey to the Jungle. Overall it’s an exhilarating experience for family to spend quality time and to enjoy.